is a Playground teacher with Eclectic Music. She has been singing since she could talk and draws on her strong background in choral music, musical theatre, and piano when working with students. Along with working at Eclectic, Sarah also sings in the Chancel Choir and the Chamber Chorale at Peachtree Presbyterian Church, as well as mentors the youth choir and handbell groups. Additionally, she runs theatre summer camps with City of Sandy Springs, working with students ranging from preschool to high school. In her free time she is a hobby costumer and can frequently be found bent over her sewing machine, replicating costumes from her favorite movies and television shows. Above all, Sarah believes in developing a lifelong love of making music, because everyone has the ability to be a musician. She prioritizes making lessons a fun and stress-free environment to allow her students to discover a passion for both understanding and making music. She also takes into account the unique strengths and learning styles of each student, as well as their goals for the program, to ensure they develop the foundational tools necessary to keep making music. REQUEST TO BOOK WITH SARAH! is a teacher of Playground at Eclectic Music! She has a background in a little bit of everything. She is an avid learner who values learning and helping others learn to safely push themselves out of their comfort zones. Musically, she has also participated in a variety of choirs on and off for the past 14 years as a first and second soprano and first and second alto. She is also an amateur piano, clarinet, guitar, and ukulele player. Overall, Khye enjoys music because it gives students an outlet to learn about cultures, history, and values through music. She has over five years of experience working in higher education at Emory University, Texas A&M University, and Lincoln College (IL) where she taught college students life skills such as critical thinking, creative problem solving, adapting to new situations, telling their stories, and falling with style (or failing gracefully). They are also a doula, a childbirth educator, an auntie, a hiker, and a healer. They enjoy being in nature, questioning everything, reading, writing, and imagining how the world could look if everyone treated each other with kindness. Khye enjoys using games, humor, and students' self-direction to facilitate learning. Khye enjoys asking reflective questions to be sure that the students understand the reasons why things are the way they are. Further, Khye loves to connect what students are learning in music to larger concepts such as active listening, being a good friend, or being a good competitor. Khye loves all musical styles and enjoys integrating a variety of music types into her lessons. REQUEST TO BOOK WITH KHYE! is a voice and piano teacher at Eclectic Music. She received her Master’s of Music in Opera Performance from Georgia State University. When she is not performing locally as a Chorus Member with the Atlanta Opera, in local recitals, or as a staff singer in Peachtree Road Lutheran Church, she auditions and performs with many opera companies nationally. Although having an extensive classical background and opera performance resume, Hila initially started singing Rock/Pop music and performed with a local band around the Washington DC, where she is originally from. She also has sung in many wedding bands and feels comfortable teaching all genres of singing, having thoroughly studied vocal pedagogy in her college career. Hila also has over 10 years of classical piano training. 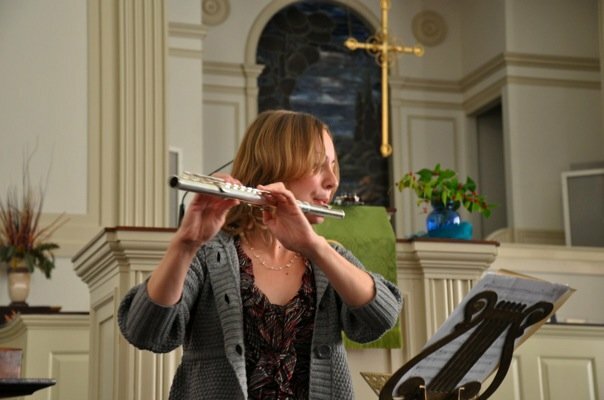 She has played classical repertoire spanning from Bach to Debussy and enjoys teaching students about music theory. 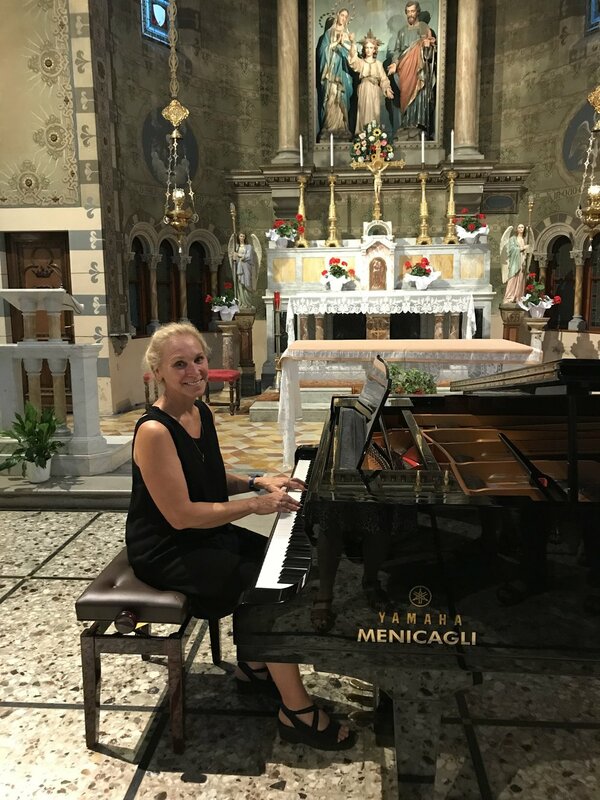 She teaches piano to students of all ages, and recently completed Eclectic Music's Playground training, joining the ranks of Playground instructors teaching this creative and playful approach to general music and musicianship to younger students. Opera, Classical, Musical Theatre, Contemporary Styles. Students all ages & abilities! REQUEST TO BOOK WITH HILA! is a versatile music educator, teaching a multitude of instruments and skills with Eclectic Music and an internationally touring multi-instrumentalist and singer. She has performed at Carnegie Hall, Ryman Auditorium, Wembley Stadium, The Hollywood Palladium, The Ellen Show, The Late Show with David Letterman, The Jay Leno Show, Late Night with Conan O’Brien, and concerts throughout Europe, Japan, and China. She currently performs as guitarist, mandolinist, pianist/keyboardist, and vocalist with the Chuck Nation Band. Libby is passionate about helping students discover the joy of learning music through lessons that benefit for a lifetime. Her creative teaching methods, success rate with so many students and their families, and her ability to impart joy in learning have made her a favorite, in-demand teacher at Eclectic Music since 2011. Libby believes that regardless of age, experience, or aptitude, all students can enjoy learning and gain a level of satisfaction on a musical instrument. The learning plan is tailored for each student’s individual interests and needs. The learning environment is comfortable enough for students to ask questions, take on new challenges, build confidence, and learn at an enjoyable pace. Acoustic Guitar, Piano, Voice, Electric Bass, Mandolin, Ukulele, Songwriting, Band Coaching. Jazz, Blues, Bluegrass, Country, Folk, Americana, Pop, Rock, Singer/Songwriter. REQUEST TO BOOK WITH LIBBY! is a teacher of piano, voice, and guitar with Eclectic Music and has been involved in music education in various capacities for the past 15 years. She holds her undergraduate degree from Yale University with a major in history, but music has always been her passion; her most formative involvement in college was with her pop a cappella group Out of the Blue. Laura has taught piano, voice, and guitar lessons for many years, specializing in the intersection of singing and playing; many of her students are aspiring performers who learn to sing and accompany themselves. When not teaching young musicians, Laura spends her time raising her 4- and 6-year-old boys and playing music with her husband in their duo “LB Collective” or with their full band; she also enjoys running, biking and playing volleyball. Laura tries to meet her students where they are at, so they can work together to figure out goals and strategies for attaining those goals. She really enjoys working with students who enjoy playing and singing, either piano or guitar. 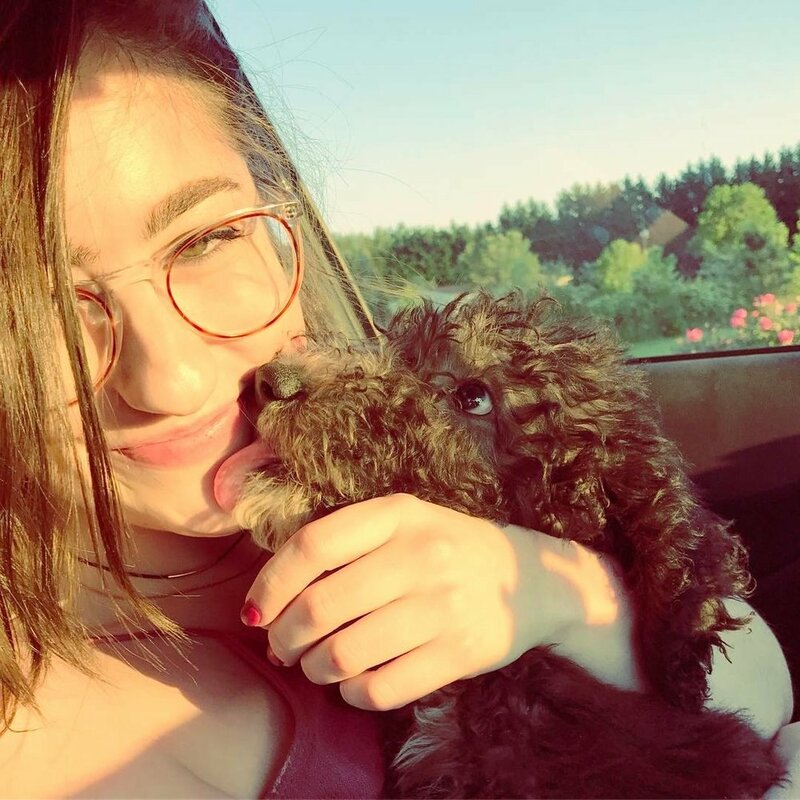 She is also willing to teach a chordal approach to instruments, especially for singers who really want to learn to accompany themselves effectively, although she will also try to throw in some solid music-reading and theory as well. Piano, Voice, Guitar, Band Coaching. Singer/Songwriter, Pop/Rock, Musical Theatre, Jazz, Country, Beginner Classical. REQUEST TO BOOK WITH LAURA! is a Voice, Piano and Playground teacher with Eclectic Music, as well as an opera singer based in Atlanta that performs locally and globally. She was most recently seen in Atlanta as Violetta Valery in Verdi’s La traviata with Capitol City Opera. Ms. Metry made her debut in Italy aslo as Violetta Valery (La Traviata) with the Mediterranean Opera Studio Festival in Caltagirone, Sicily. While in Sicily, she also performed the role of Suor Genoveffa (Suor Angelica) and in concert. Ms. Metry made her NYC debut as Pamina (Die Zauberflöte) and had the privilege to sing in concert at Carnegie Hall. She has performed other various roles including: Leïla (Les pêcheurs de perles) and Musetta (La bohème) with Capitol City Opera; Estelle (The Stronger) and Lucy (The Telephone) with Marble City Opera of Knoxville, TN; Julie Jordan (Carousel) with Opera Breve Vocal Institute; Clorinda (La Cenerentola) with Festival of International Opera of the Americas; and Mrs. Nordstrom (A Little Night Music) with Harrower Opera. Julia received her Master of Music degree in Vocal Performance from Georgia State University in 2014 where she performed the roles of Mary Warren (The Crucible), the Governess (The Turn of the Screw), and Amy March (Little Women). Ms Metry received her Bachelor of Arts in Music, Vocal Performance degree from Auburn University in 2012. While at Auburn, she was seen as Fanchette (Marriage by Lantern Light) and in scenes including the title role in Armide, Susanna (Le nozze di Figaro), Cunegonde (Candide), Frasquita (Carmen), and Carroll (Very Warm For May). A highly versatile performer, Ms. Metry was a cast member with the Walt Disney World Company for just under 7 years as a parade and character performer. Originally from Marietta, Georgia, Ms. Metry currently resides in Atlanta where she teaches with Eclectic Music, sings in the chorus with the Atlanta Opera, sings in the choir with Passion City Church, and helps out with Grady High School Theatre. Julia teaches mainly voice and piano and has also been trained in Playground style teaching with Eclectic Music. She loves to watch students discover the joys of playing and understanding music! Because Julia has had the opportunity to sing all over the USA and internationally, she is able to pass along the training, guidance and wisdom she has received to her students. She teaches all styles of singing from a classical approach. When a student has a healthy foundation, it increases the longevity of the voice and allows students to do things with the voice they didn't even know could be done! She also believes singing is so much more than good technique and having a pretty voice, but also understanding the character and truly performing the pieces. Musical Theatre, Classical, Pop, Country, Contemporary Styles. REQUEST TO BOOK WITH JULIA! "I love working with Julia Metry because not only is her own voice impressive and inspiring enough to motivate me to work as hard she does, but she knows my voice so well and in such detail. She can hear the tiniest differences that I myself even have difficulty identifying, and immediately knows what to say to help me fix any tension or problems I may be having. Not only is she a wonderful teacher, but she’s immensely fun to be around! Despite the fact that I’m learning more about my voice every minute in her lessons, they feel less like work and more like chatting with a knowledgeable and talented friend about singing." is voice, guitar and piano teacher here with Eclectic Music as well as a full-time music therapist at Emory's skilled nursing facility, Budd Terrace. She is also a staff singer at the Cathedral of Christ the King in Atlanta. Jenna completed her undergraduate degree in music therapy, her primary instrument being voice, at the University of Georgia, and completed her Master's in Music Therapy at Colorado State University. Jenna has been singing for her entire life, and has been playing piano since she was eight years old. In college, she learned to play guitar and ukulele as part of her music therapy curriculum. Her college courses incorporated learning many other instruments, including percussion, autoharp, handbells, and more. Jenna has worked with people of all ages, ranging from infants to the elderly. Because of this, she has incorporated all types of music and musical interaction into her practice. Her favorite part of her job is using music to help people become stronger and happier. Jenna's first priority as a teacher is to understand her students' strengths and learning styles. She takes into account what her students want to get out of music lessons and what they want to play. To ensure that her students fall in love with music, she provides a stress-free, fun learning environment that makes practicing appealing and less like a chore. Most lessons will include warming up, answering questions students have, and playing through pieces to address any issues or alter technique to ensure growth as a musician. But the largest part of lessons with Jenna feature her love of making people laugh while helping students discover strengths and abilities they never knew they had! Pop, Rock, Classical, Singer/Songwriter, Folk. REQUEST TO BOOK WITH JENNA! or Anna, is a teacher of Voice, Piano, Ukulele and Playground with Eclectic Music. Anna is a classically trained stage and screen actress and professional singer. 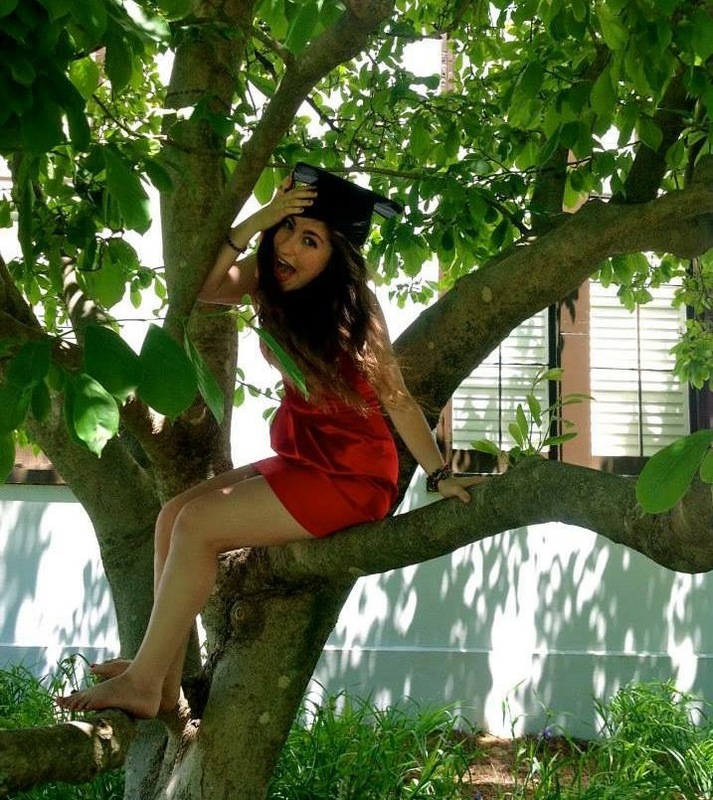 She is a graduate of the University of Florida where she received a Bachelors of Fine Arts in Musical Theatre. Since graduating, Anna has performed in Los Angeles, Atlanta, Jacksonville and her hometown of Gainesville, Florida. Anna most recently appeared on stage in Atlanta as Lulu in "Between Riverside and Crazy" at Kenny Leon's True Colors Theatre Company. No matter where she was, Anna worked hard to cultivate her passion for performance as well as her passion for teaching and direction. In 2016, Anna opened her own vocal studio in Florida and became the Associate Music Director for Apex Theatre Studio. In 2018, she relocated to Atlanta and joined the Eclectic Music team! Anna believes that healthy singing is beautiful singing. She works to cultivate an understanding of vocal anatomy and proper use. Anna also believes in the power of positivity and hard work. She encourages her students to be committed, engaged and informed musicians that lead with their passion for music. As a teacher, Anna pushes her students to always do their best. She loves to use teaching techniques that are silly. One of the best practices, she says, is to get the student out of their heads, to start having fun and learn to not take themselves too seriously. Musical Theatre, Pop, Jazz, Country. REQUEST TO BOOK WITH ANNA! Jennifer Hanna has been teaching voice and piano lessons for over 15 years. She is an early childhood music specialist and has been a teacher at Eclectic Music since 2007. She holds a Bachelor of Music in Vocal Performance from Millikin University and a Master of Music in Vocal Performance from Georgia State University. She continues to be an avid student and takes continued training in guitar, voice and advanced music education. Jennifer teaches music at St. James Preschool in Buckhead. She also directs the Cherub Choir at Peachtree Presbyterian Church in Buckhead, where she is also currently a staff singer. Jennifer began studying piano at the age of 9, flute at age 11 and voice at the age of 13. 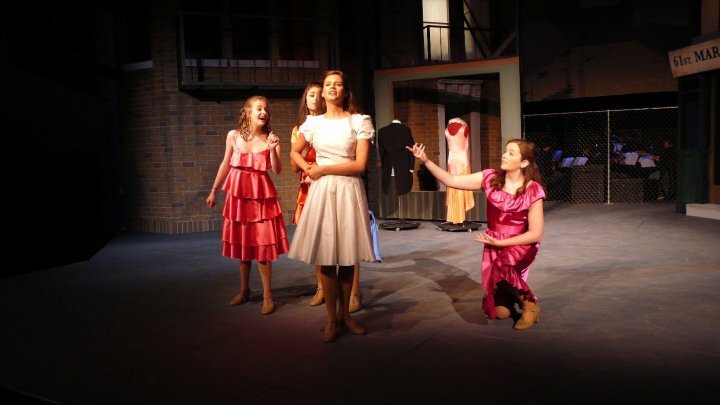 As a child and teenager she enjoyed performing in recitals, musicals and choirs. She sang in the Ohio All State Choir and played flute in the Cincinnati Symphony Youth Orchestra. While an undergraduate at Millikin University, Jennifer performed in operas, including Pirates of Penzance, Down in the Valley, Die Fledermaus, and The Marriage of Figaro. In 2005, she moved to Atlanta to complete her Master of Music Degree at Georgia State University. She played the roles of Nicklausse in Offenbach’s Les Contes d’ Hoffmann and Harry in Benjamin Britten’s Albert Herring at GSU. 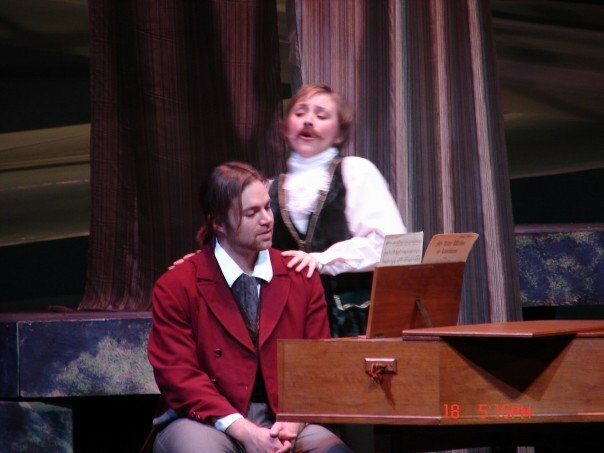 She later professionally played the role of Mozart in the opera Wolfy at Theatre Decatur. 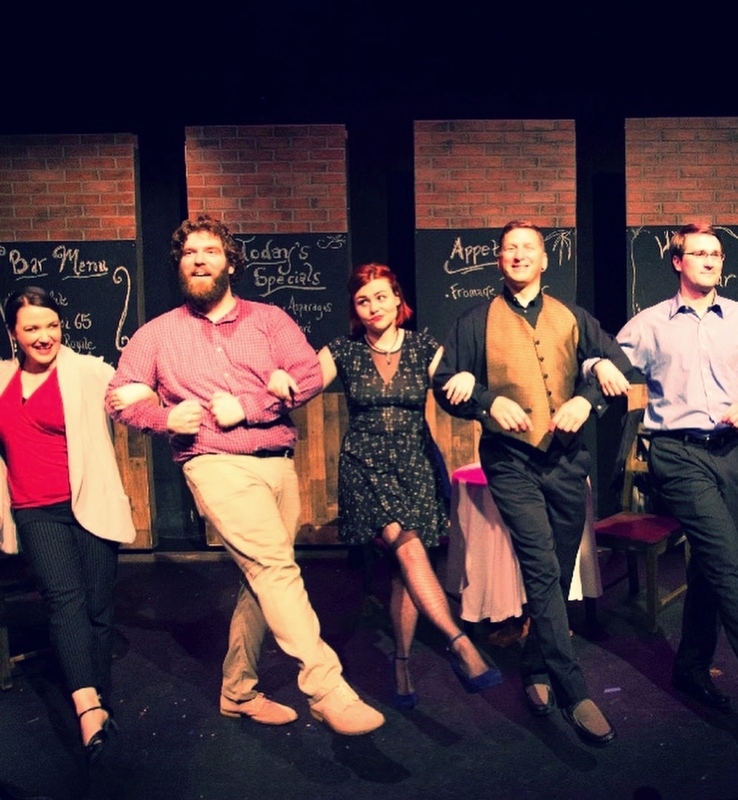 Jennifer participated in the Harrower Opera Workshop at GSU and La Musica Lirica Opera Festival in Urbania, Italy, performing roles in opera scenes including Hansel and Gretel, Cosi fan Tutti, Louise, Alcina, Fastaff and The Mikado to name a few. Jennifer takes a holistic approach to teaching music. She believes the process of learning to sing or play an instrument helps students to develop important life skills such as improved work ethic, self-confidence, optimism, faith, interpersonal and communication skills, and leadership potential. She keeps this in mind when working with each student. Jennifer teaches piano and voice to both children and adults. She teaches a variety of musical styles, including classical, pop, musical theater, rock, ragtime and jazz. As a voice teacher, Jennifer focuses on building a strong technical foundation. Her goal is to help students to develop a strong, effortless, pleasing tone while communicating a meaningful thought, idea, or emotion. With her piano students, Jennifer strives to keep the learning process fun and rewarding. She continually uses new approaches depending on the unique interests and inherent gifts of the students. She often incorporates singing, rhythm sticks, bells, egg shakers, drums, ukulele and guitar in her lessons. Her goal is to help each student not only learn to read music, but also to play by ear and improvise. Jennifer encourages her piano students to sing, and her singers to play. Jennifer believes that just as playing an instrument makes us better singers, so does singing make us better instrumentalists! Classical, Pop, Musical Theatre, Rock, Ragtime, Jazz. REQUEST TO BOOK WITH JENNIFER! teaches Piano for Eclectic Music. The route to becoming a piano teacher for Ms. Vernon has been a rather circuitous one, but one she has embraced at every turn. Ms. Vernon began her own piano lessons at age seven. 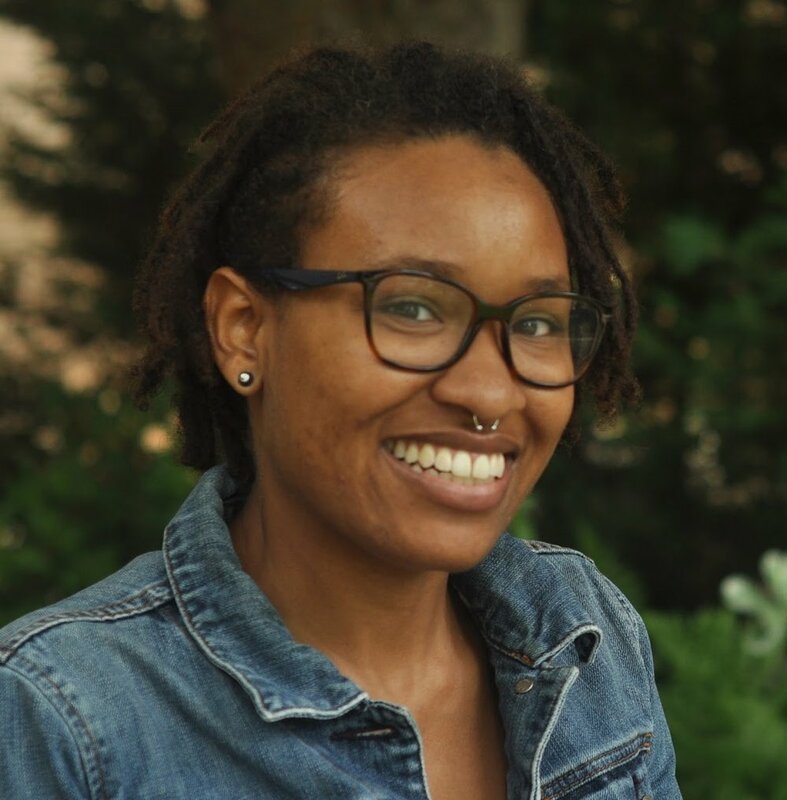 She attended The University of Georgia, pursuing a degree in Piano Performance and then music therapy before she changed her major to social work her senior year. She received her Masters in Social Work and worked in the fields of oncology, gerontology, and later epidemiology at the Centers for Disease Control. Along the way she had three children and took a break from her career to raise them. It was during that time she reconnected with her piano studies, went back to UGA and completed her bachelors and Masters in Music in Piano Pedagogy. Since that time she has enjoyed being an adjunct professor of piano at Georgia State University's Clarkston campus as well as playing keyboard with the DeKalb Symphony Orchestra, as well as percussion and piano with the Georgia Perimeter Wind Ensemble, where she has also sat on the board for the last seven years. In addition, Ms. Vernon continues as an active participant performing chamber music and accompanying vocalists and instrumentalists in the Atlanta metro area, as well as North Georgia. She is an active volunteer with the Global Village Project, teaching piano to refugee middle school girls. She will also accompany their choir in the coming 2018 school year. The most compelling reason Ms. Vernon returned to school and pursued her music degree was because she wanted to share with others the gift she felt she had been given early in her her life, the opportunity to learn piano and have music at her fingertips throughout her life, through times of joy, as well as times of sadness. Playing piano for Ms. Vernon is like always having access to your best friend. It is something you can do alone and feel joy and satisfaction and it is also something you can share with others to give them joy as well. In addition, the discipline one learns through piano practice carries over into all walks of life, and the results of such disciplined practice provide a true sense of accomplishment and achievement. Playing piano for others also provides an opportunity to experience sharing oneself with others and being willing to take risks. As a piano teacher, Ms. Vernon is there to guide students on their individual musical journeys, respecting their goals as well as opening their eyes to music they may not yet even be aware they could enjoy. She is always mindful of individual learning styles, looking to engage students using different approaches, meeting the individual how they learn best. She enjoys teaching children who may have special needs, ones who learn outside the box, as she prefers to say. While Classically trained, Ms. Vernon teaches all genres and enjoys them all herself. She loves to teach music theory as she believes it holds the key to understanding music on a deeper level. Ms. Vernon teaches all ages, from five to 85. She does desire that her students practice each week as that is the best way to move forward faster and develop that sense of discipline and accomplishment. Practice also ultimately helps keep the students engaged as they see their progress. She strives to provide music students will enjoy, while teaching good technique and practice skills, as well as teaching students how to compose music. And lastly, Ms. Vernon is a teacher who strives to be a positive mentor who always nurtures, respects, and looks to create an environment which will promote success for the student. REQUEST TO BOOK WITH JANICE! "Janice is passionate about music, teaching, and her students. She goes above and beyond to prepare lessons for each student as well as make sure they are enjoying the process of learning. Janice's kind spirit and enthusiasm for teaching make her stand out as a teacher. My son says she's heartwarming, too!" "I like the way Ms. Janice always tries to make piano lessons fun. I also like that she gives me different pieces for me to choose and work on."